From the 9th until 25th of February 2018, the South Korean city of Pyeongchang will host the 23rd Winter Olympic games. Over fifteen days, sportsmen and women from approximately ninety countries will compete in seven sports and fifteen different disciplines in the hopes that countless hours of training, years of physical and mental preparation, and boundless reserves of dogged determination might be rewarded with a place on the winners’ podium. But it’s not just about the winners. Ever since the inaugural Winter Olympic games – held in Chamonix, France in 1924 – there have been innumerable stories of success and failure, accomplishment and disappointment, and a complex compendium of emotions which reside somewhere in between. There have also been stories of inspiration. The inspiration which displays the human ability to strive for success, even when pitted against the odds. The inspiration which has driven athletes forward when others have given up. And, the inspiration which has borne lessons applicable, not just to the world of sport, but to business, and to life in general. One such example where this inspiration is exemplified is in the well-documented story behind the American speed skater, Dan Jansen. Jansen was born in West Allis, Wisconsin, on June 17, 1965. As is the tradition in that particular part of the world, it wasn’t long before the future speed skating world-record holder would don his first pair of ice skates and begin his slippery encounter with life and sport. At the age of 12, Jansen was already winning national speed skating championships and turning heads right across the world of speed skating. Through hard work and dedication to his sport, Jansen continued to progress until as an 18 year he was selected to represent Team USA in the 1984 Winter Olympics in Sarajevo. The debutant Olympian finished a very respectable fourth in his specialty 500 metres, and sixteenth in the 1,000 metres events. 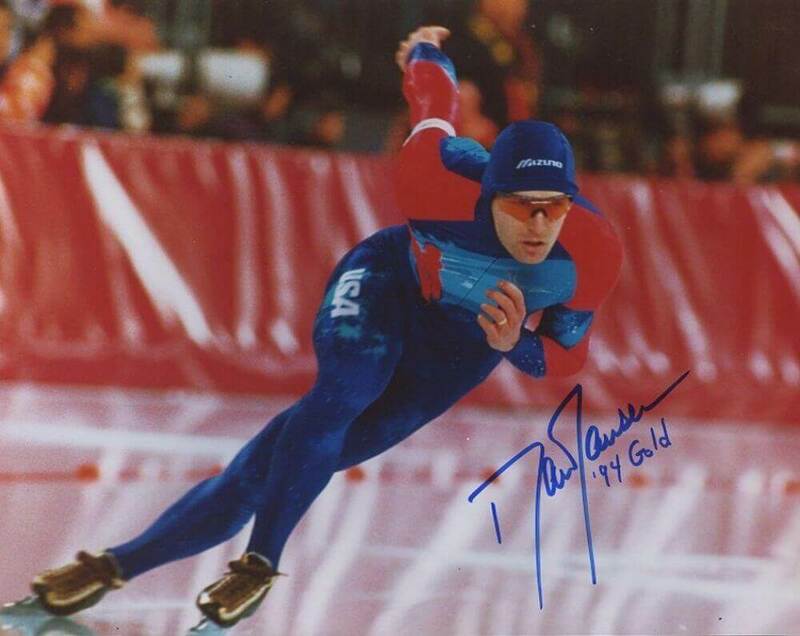 After Sarajevo Jansen continued to persevere with his rigorous training regime in preparation for the 1998 Winter Olympics, due to be held in Calgary, Canada. His preparations were going according to plan as Jansen placed himself among the best skaters in the country, and perhaps the world at the time. Unfortunately, in early 1987, Dan’s sister Jane was diagnosed with leukemia. The young skater stepped forward and offered his own bone-marrow in an attempt to aid his stricken sister. His sister refused, on the grounds that if he did this selfless deed he himself would be too ill to compete in the fast-approaching Olympic games. In turn, Jane received her transplant from another family member, her sister, unfortunately, the treatment was unsuccessful and by the end of December, she had returned to the hospital. 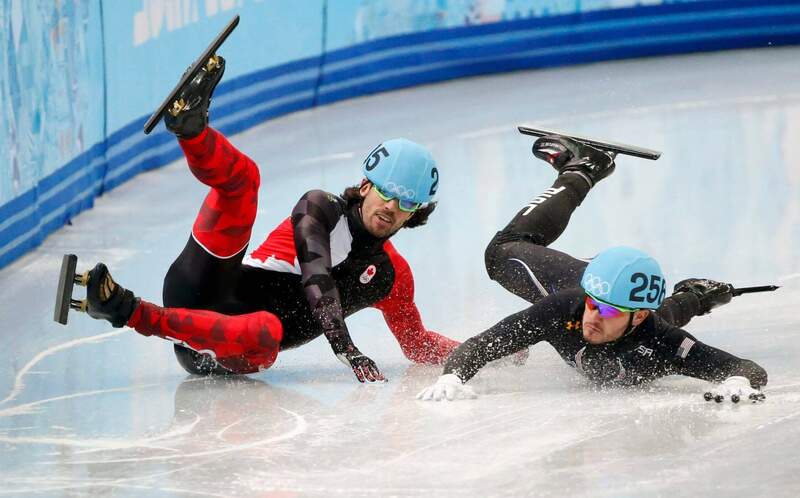 Two months later, in Calgary Canada, Dan Jansen figured differently. On the morning of February 14th – Valentine’s Day – Dan’s family called to say his sister was near death and wanted to say her last farewells. Four hours later the young Olympian received the heart-breaking news that his sister had died, but her last singular wish was that he should carry on and compete regardless. Sometimes talent and hard work just aren’t enough. 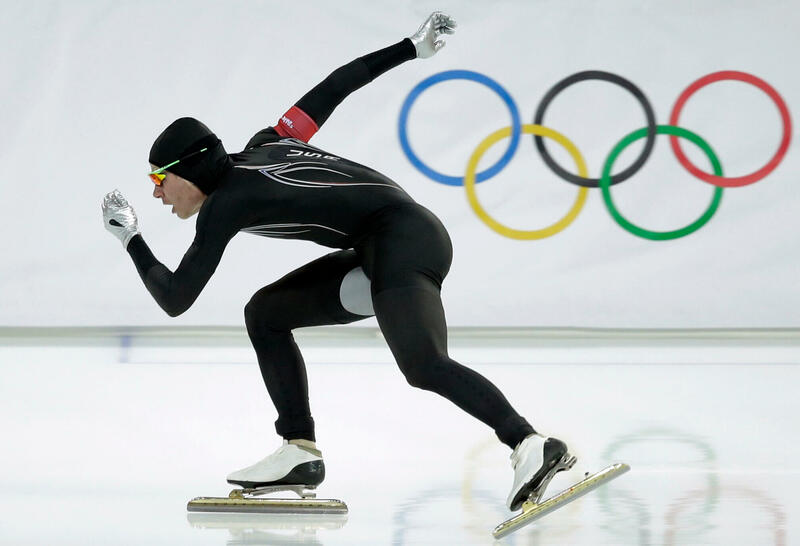 Life gets in the way, as Jansen discovered, slipping and falling on the ice in both the 500m and the 1,000m events; shattering his dreams and the hopes of the medal he so longed for. After the loss of his beloved sister, he continued to train hard, more determined than ever to win that Olympic medal which he had decided he would dedicate to his late sister. At the 1992 Winter Olympics in Albertville, France, Jansen was once again favourite for gold going into his events. Fate, once again, saw things differently and following bruising stumbles in both the 500 and 1,000 metres events Jansen went home dejected and medal-less. Despite winning world titles after the Albertville Olympics, Jansen was left frustrated at not reaching the goal he had set himself. With time running out he realised that the 1994 Winter Olympics in Lillehammer, Norway, would be his final chance for the gold he craved. Once again he was favourite for the medals’ podium in the 500m event, as he had been in the past, but once again the dice had been cast against him and another slip on the Norwegian ice saw him finish disappointedly in eighth place. The 1,000m was not Jansen’s favoured distance and was accordingly omitted from the list of favourites to take the podium. 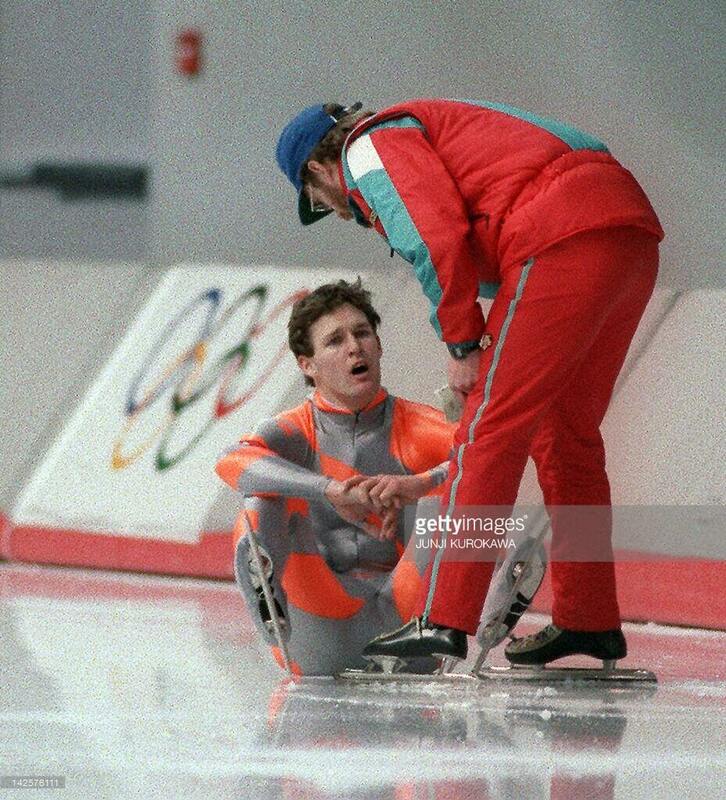 However, after so many years of hard work, determination and disappointment Dan Jansen beat all the odds and won both the gold medal and the hearts of fans all over the world. Finally, he had the medal he had so long yearned for and which he dedicated to the memory of his sister and to the baby daughter – also named Jane – whom he held in his arms as he skated his lap of honour. Dan Jansen was finally a winner. There are lessons to be taken from the story of Dan Jansen, lessons which can be also applied to the world of business and to our everyday lives. The lessons we learn from failure are essential to human cognition; to the learning process and to our ability to move forward after setbacks. Ultimately, these are the steps and the building blocks of eventual success. Regardless of your sphere of endeavour, be it entrepreneurism, sales, project management, literature, or music, you can be sure that the road to your success will be paved with failure and rejection. The real difference between success and failure is how the individual chooses to deal with it, and move above and beyond such impediments. 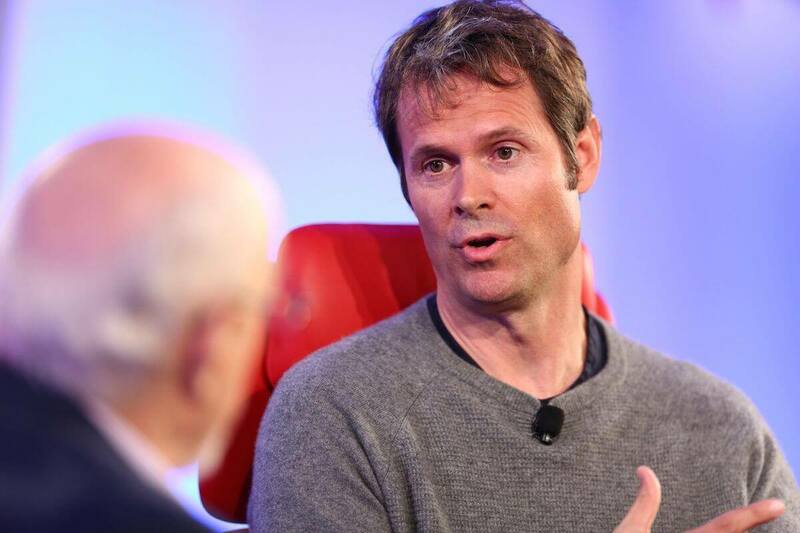 One prime example of dealing with rejection, and more importantly, using it as a force for good, is – one of the most popular internet music streaming services on the market. Westergren’s success was born on the back of failure; firstly as a student of medicine, and then as a musician in a world where rejection is a constant companion. Having experienced over 350 rejected attempts to secure funding for his fledgling Pandora project, Westergren drew on his experience in the world of music. He strongly believes the mantra that, “No, is a part of life’s transactions” and as a consequence, he regards rejection as a normal process. Despite continuous rejection, Westergren firmly believes that if you pick something you really love, no matter how many times you fail, no matter how many setbacks you may face, you can always bounce back. In the world of business, and especially the world of sales in business, the same holds true. However, being well-prepared and well-armed the chances of failure will be greatly diminished. Using a smart Sales CRM, such as Teamgate, you can substantially increase your chances of success and profitability. Just like the training regime of a top athlete, the Teamgate Sales CRM can help you plan the whole process by which you intend to succeed. Teamgate will enable you to analyse your sales team’s process along every step of the sales journey, to plan accordingly or change tactics, in order to reach your goal. Being prepared and willing to adapt are key factors in success – even after failure. 96% believed that prior work experience was an important factor for success. 76% said that learning from previous failures was important in present success. 73% cited good fortune as an important factor. 40% said having at least one failure was “extremely important”. 98% of small business owners feel potential entrepreneurs are only held back by ‘a fear of trying and failing’. Just like Dan Jansen, as he finally held his gold medal aloft after so many attempts, those successful people you see on the Forbes’ Rich List had to take many risks and battle many failures in order to get where they are. According to Bloomberg, another fact to illustrate this statement is that 73 of the top 100 world billionaires are ‘self-made’ – which means a lot of failure and a lot of hard work. There are no easy answers for success, there are many ingredients which combine to facilitate its accomplishment. However, having the right business tools in your armoury is just one of those ingredients. The Teamgate Sales CRM might just be the ingredient to give you the edge over your competitors and see you finally reach the goals you’ve set for yourself and your business.